ABILENE, TX – John Melvin “Mel” Syria, age 84, of Abilene, Texas, and former Marquette area resident, entered eternal life Monday evening, December 3, 2018, in Abilene, Texas. 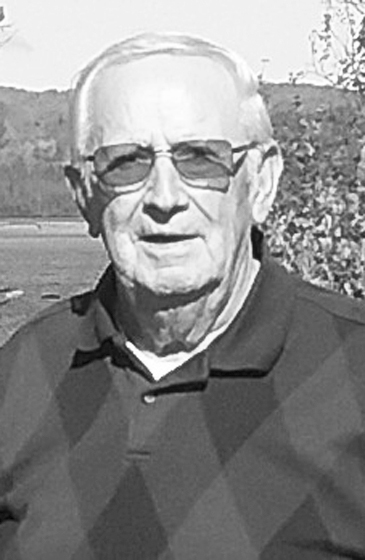 Born June 23, 1934 in Watton, a son of John and Mary E. (Takanen) Syria, Mel was raised in Watton and was a 1952 graduate of the Negaunee High School. Following graduation, he worked for the Cleveland Cliffs Iron Company at the Mather B Mine in Negaunee before entering the service. Mel served in the US Army during the Korean Conflict and was honorably discharged with the rank of Sp 3. Mel then moved to Detroit where he enrolled in Greene’s Barber College. He worked for a time in Flint before returning to Negaunee where he owned and operated Mel’s Barber Shop for eight years. Mel then embarked upon his second career, as a marketing representative for the Michigan Gas Company, working 29 years prior to retirement in 1997. In retirement, Mel and his wife spent their summers in the Marquette area and winters in Texas. In 2005, the couple moved to Fulton, Texas, to reside year-round. In April of 2016, Mel and Loraine relocated to Abilene. Mel had a gift for music, which he received from his parents and, at age 14, was playing at dances and other social gatherings. He often accompanied his parents on piano, accordion, saxophone, or guitar, and later on formed his own group, the Mel Syria Trio. In addition to his musical abilities, Mel enjoyed hunting, fishing, traveling, and going to square dances with Loraine. Mel was a member of Holy Family Catholic Church in Abilene, Texas. Survivors include his wife, Loraine, whom he married August 17, 1957 at St. Michael Catholic Church; a daughter, Jennie (Joey) LaChapelle of Abilene, TX; two sons, Bryan (Kristie) Syria of Blaine, MN and Jeffery (LaTresha) Syria of Marquette; seven grandchildren, Myranda Robins, Michael, Eric, Tyler, Samantha, and Justin Syria, and Brittany LaChapelle; a great-grandson, Kallen Syria; a brother, Derrell (Janet) Syria of Marquette; and several nieces and nephews. In addition to his parents, Mel was preceded in death by a brother, Stanley Syria. Funeral services will be held this summer in Marquette and will be announced.